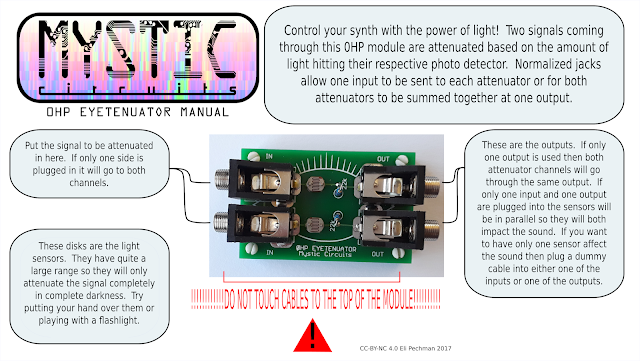 Control your synth with the power of light! 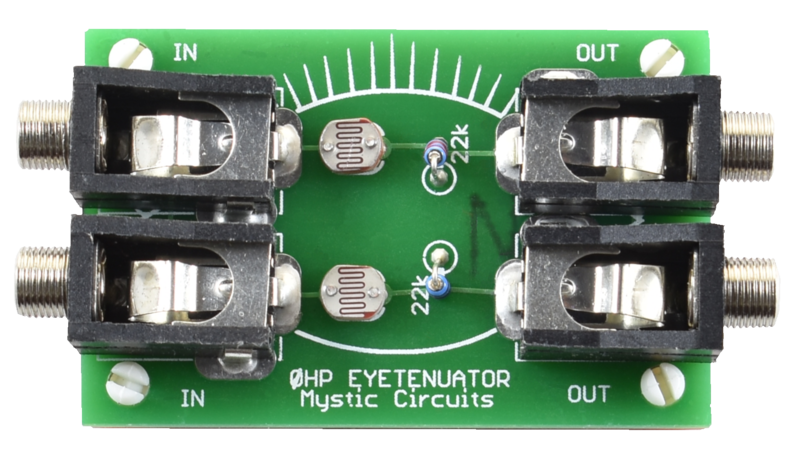 Two signals coming through this 0HP module are attenuated based on the amount of light hitting their respective photo detector. Normalized jacks allow one input to be sent to each attenuator or for both attenuators to be summed together at one output.